Libras are ruled by Venus, goddess of love and beauty, and are always looking for balance. Their symbol is the scales, and they believe in cooperation; therefore relationships, partnerships, love, and marriage are important to them. They make good social workers, mediators, and are often in fields related to beauty. 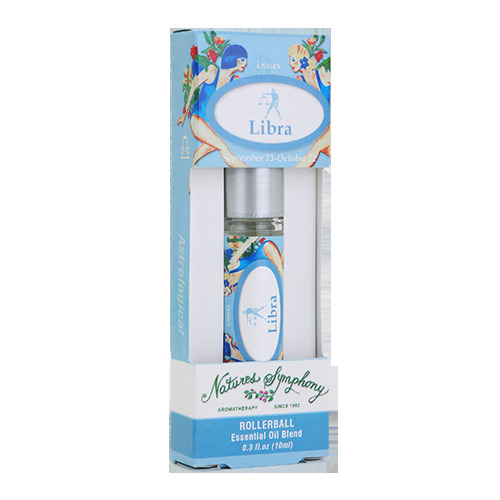 This blend includes oils ruled by the sign and in tune with Libra nature. Ingredients: Fractionated coconut oil (Cocus nucifera), with Organic/wildcrafted essential oils of palmarosa (cymbopogon martinii), spearmint (mentha verdis), ylang ylang (cananga odorata), birch (betula lenta).